We’re delighted to announce that we’re taking part in #ThanksToYou! 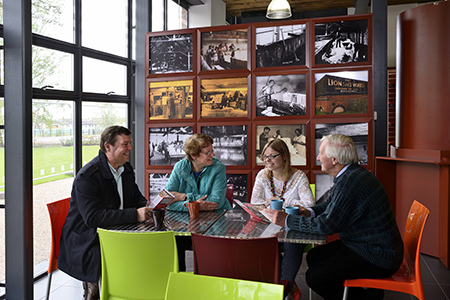 Bring along your #NationalLottery ticket or scratch card (bought in November or December 2018) from Tues 4th to Fri 7th December and you will receive FREE admission to Lion Salt Works for one person per ticket. Closed: 24-26 Dec and 1st January. Museum open Tuesday to Sunday 10:30am—5pm. Last museum admission 4pm. Gates, play area and gardens open 9am – 5:20pm Monday to Sunday. 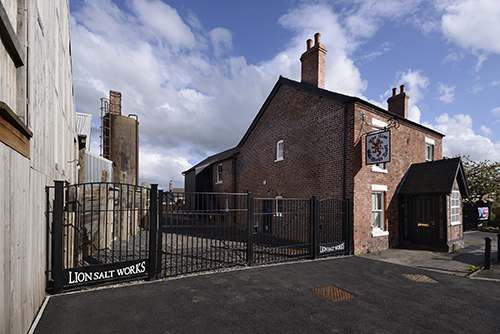 The Salt Works is situated on the B5075 (Ollershaw Lane) about a mile from Northwich town centre. It is well signposted (follow the brown signs). Chester is approximately a 30 minute drive, Liverpool and Manchester are 40 minutes. Please book your groups in advance. From Northwich Railway Station the Salt Works is a 25 minute walk or 15 minutes by bicycle. There is no taxi rank at the station. Lostock Gralam is the Gateway Station to the Lion Salt Works which is less than two miles away and will take about 45 minutes by foot along the Trent and Mersey Canal. The Salt Works is on two Sustrans routes: On road – local route off Route 5 (Northwich) and Route 70 (Great Budworth). Traffic free – along Trent and Mersey Canal towpath. Canal boats can be moored alongside the Salt Works with visitor access from the towpath. Please check the Canal and River Trust for terms and conditions. 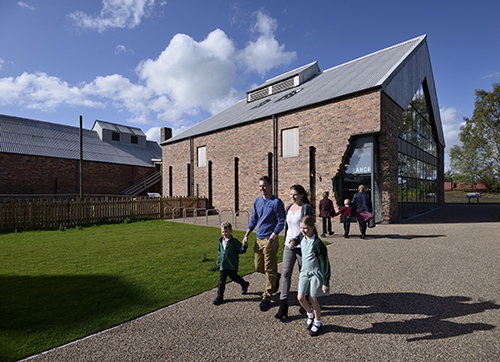 The museum is fully accessible with designated disabled parking bays, accessible toilets, lifts to first floor levels and a hearing induction loop. Guide dogs are allowed in the buildings. A full access report is available on the Disabled Go website. Lion Salt Works is a partially restored industrial heritage site. The Scheduled Status ensures the site has retained its historical integrity to discover, research and enjoy. Please dress appropriately for an industrial site. We recommend sensible footwear (clogs would have been worn by workers) and warm clothing (the historic core is no longer heated by the furnaces). Please be guided by the directional signs, safety notices and barriers to ensure all members of your group have a fantastic experience. We remind all visitors to be constantly aware of uneven floors, low head heights and black barrier webbing. The entire Lion Salt Works site is NON SMOKING.